There’s a new way to stay in a city: live like a local. We provide comfort, clean, safe, affordable accommodation ranging from family bedroom to as large as shared eight bedrooms. Our goal is to provide you with an unforgettable living experience. Drop Inn was founded in 2009, in last November 2013, Drop Inn Singapore was born with a new image and a total revamp welcoming guests of all ages from family and children, to business, group and school travelers. We value right ethics and treasure relationships. The boutique hostel is built by family and friends, major players are our moms and "blood" brothers, Mustapah and Naz Bamadhaj. "We often travel as family and friends, we know what is expected in service, comfort and security for our guests. We don't skimp on basics like ingredients and sheets, we know our guests will appreciate it. 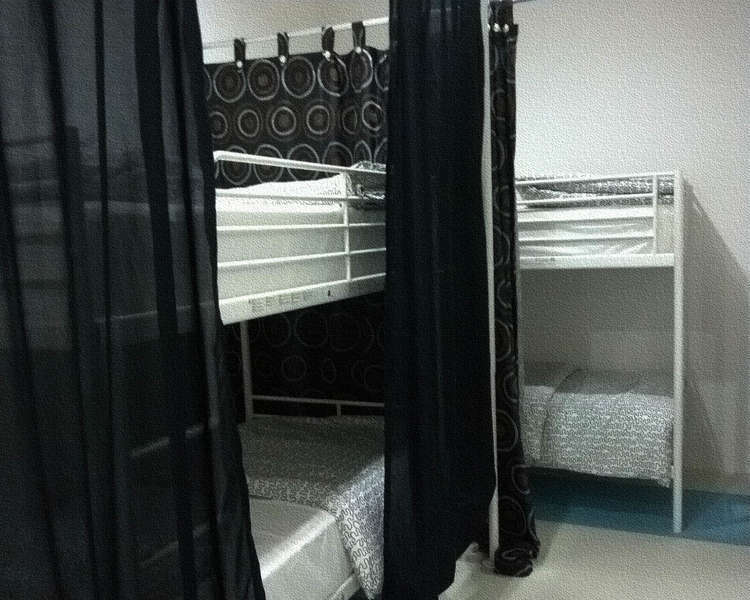 We want our guests to remember a personal, enjoyable stay with Drop Inn Singapore." We view accommodation not just as just a bed for the night, but a space for the exchange of cultures, growth and building relationships. Located in the best location of Lavender / Kallang. Drop Inn Singapore is an ideal spot from which to discover Singapore. Only 4.4 km from the city center, 10mins walk to 24hrs shopping mall Mustafa centre, the hotel's strategic location ensures that guests can quickly and easily reach many local points of interest by 7 mins walk to Boon Keng MRT. Within city limits and its convenient location, the hotel offers easy access to the city's must-see destinations. Changi Airport has been ranked consistently as one of the best airports in the world. Upon arrival, there are several options to get into the city. For a full train map and calculation of fares, you may click here. BOON KENG. At Boon Keng station, go to Exit C, up the escalator or lft, walk along the green field, cross the road towards to black & yellow shophouse and turn left, we are few doors down. Map below shows dotted line in red, a walking distance about 7 mins walk from BOON KENG MRT (purple line) to Drop Inn Singapore. 2) Shuttle service from the airport to hotels in the City is also available. The counter is open 24 hours daily, and located in all arrival halls. The property has 3 days cancellation policy, must be made in writing. There will be a one day charged for all private rooms upon booking confirmation. No refund on cancellation. Time are based on local Singapore clock. You are to inform Drop Inn on your estimated time of arrival, this is to avoid longer waiting time for check in. Our reception hours are from 8.30am to 10pm, reception must be informed if your check in time is after 10pm(22:00hrs) and at least 48 hours before arrival. Without informing the reception of your arrival time, we will consider your stay as no show. 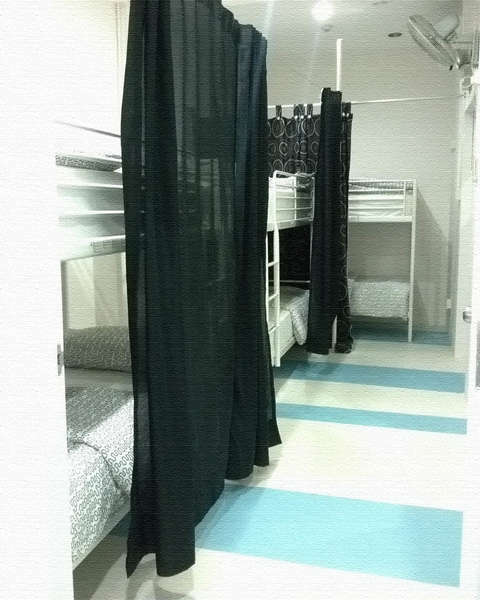 We do not accept locals, reason being, we have very limited family rooms, beds and we only want to share the uniqueness of Singapore to our abroad guests and to keep our place reserved for the far away travelers. Children below 6 years old stays for free!